Hi roadies! Have you been crafting? I had been recently inspired by jute and love the way it looks when sewn onto my projects. Today I would like to share a layout I had recently created with lots of jute fun. I wanted to use jute in different manners on this layout and decided on some stitching and jute flowers. First i took some jute and a 1" circle punch to make the flower centre. It is really making use of jute, rolling it around from the centre to the outside of the 1" punched out circle. Then, I added more jute to the back of the punched out circle, forming a flower! Decorating it was easy, just add some tokens to the flower centre! I totally love these acrylic tokens, they go onto the flower centre nicely and because it is transparent, it also showcases the nice quilling below! Layering it up with some clock transparencies helps to give it a subtle focus! 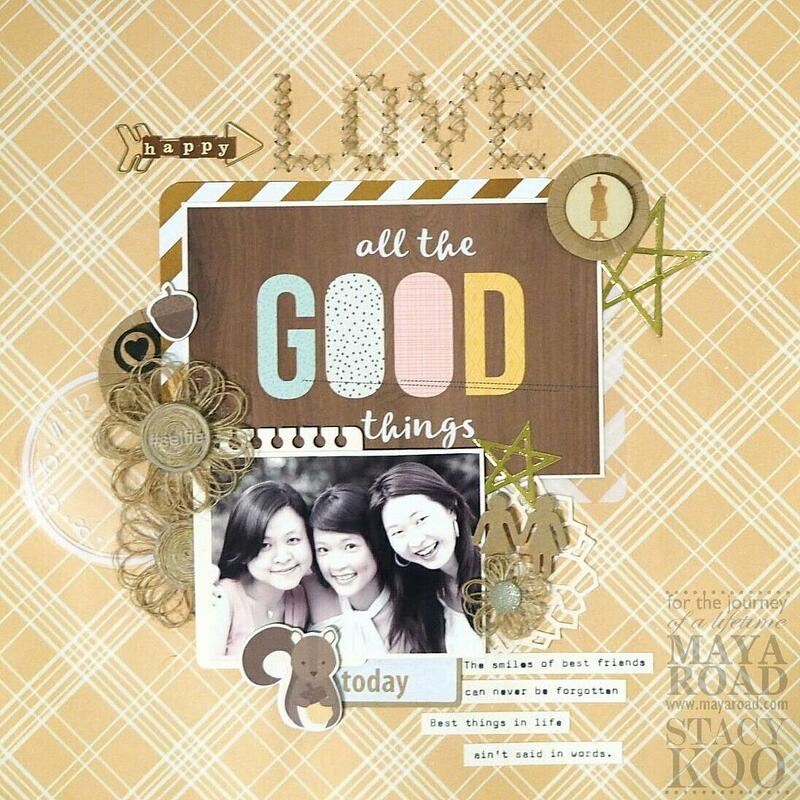 Another fun element I like to place as layers are the ATC die cuts. They give the photo much more definition! Here I have used the new note ATC die! I have made a few of these flowers. This one is of a smaller size, and embellished with a Maya Road round jeweled center. Adding some layers helps to enhance the work. I also used the Geometric Blossem Die here as a layer. The geometric dies are pretty! They are fun and do not draw a lot of attention away from the photo. Typically I use these shapes as fillers, filling in the areas which look empty and need that little touch. Oh and I love how the Vintage Kraft boy/girl pins come beautifully fitting alongside the jute flower! Last but not least, my favorite part of the layout - stitching! I did some cross stitch on this layout and I love the effect! In order to add some attention to my stitching, I decided to add the arrow clip. 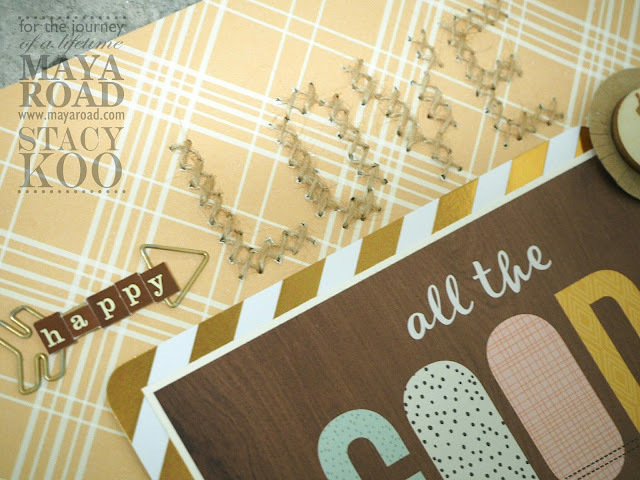 To blend with the colors on this layout, I chose to take some gold spray and sprayed on the clip. I like to use clips in different ways. Here, I have simply glued the arrow clip to the layout and finished it with some letter stickers. 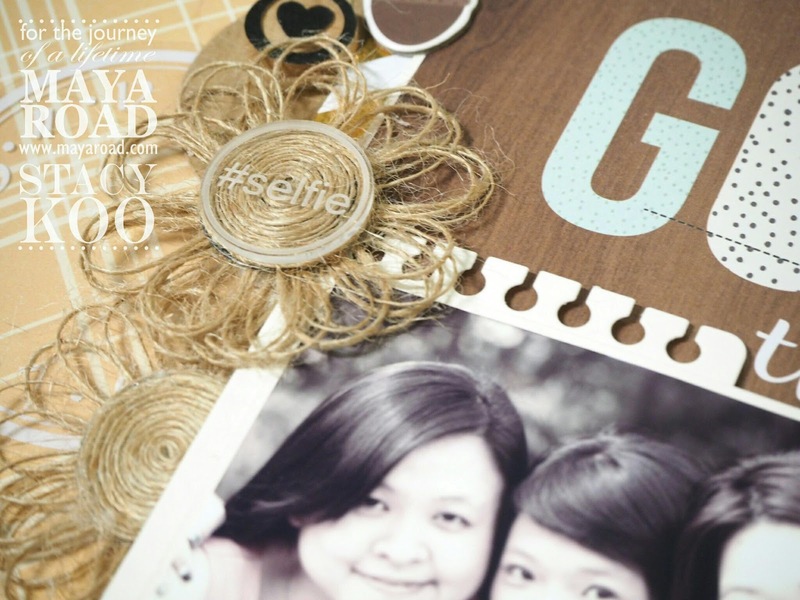 For those residing in Singapore, Maya Road products are available in Made With Love. Visit Maya Road for more inspirations!